Ideal-tek offers a complete range of precision instruments and hand tools to meet the needs of many different markets, including, Medical, Medical Device, Microscopy and Laboratory, Electronics, jewelry and beauty. 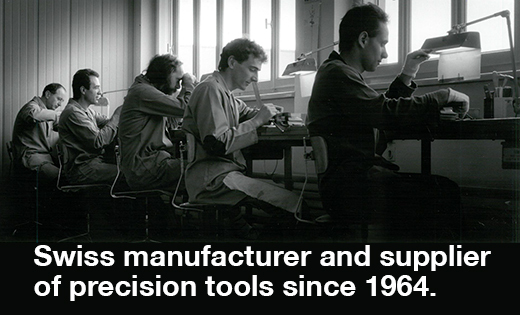 With over 50 years’ experience, Ideal-tek is a leading manufacturer and supplier of precision hand tools and instruments to a global customer base in many industries. Our reputation for delivering outstanding products, customer service, technical support and conducting business to the highest possible ethical and quality standards is the cornerstone of our philosophy. Ideal-tek focuses on the perfect balance between craftsmanship and industrialisation. We always strive to achieve the perfect synergy between form, fit and function, so that our customers enjoy using our products and they help deliver maximum productivity. Every Ideal-tek instrument passes a rigorous final inspection before a customer handles it. We are a leading company of precision hand tools and instruments creating quality through a perfect balance between industrialization and craftmanship. Everyday we work to build longterm partnership based on professionalism and respect. No surprise with us. You will get what you ask for. Strong customer focus and deep listening to every need. We are polite and professional in all our customer dealings.